The Adult Religious Exploration program at AUUC seeks to foster life-long learning and spiritual growth through classes, workshops, and events that expand and deepen understanding of Unitarian Universalism; facilitate the search for truth and meaning in all spheres of human knowledge; promote social and earth justice; explore other spiritualities, religions and philosophies; provide opportunities for learning new skills; and encourage sharing ideas and experiences among the participants. 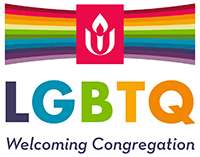 Registration is open to all — members and friends of AUUC and members of the larger community. For additional information please please email our Adult RE Committee Chair. For additional information, please please email our Adult RE Committee Chair.